As Council President, Padilla provided citywide leadership at critical times. He was Acting Mayor during the tragedy of September 11, 2001. He assisted in the interview and selection of William Bratton as Chief of Police and helped negotiate the approval of LA Live and the modernization of Los Angeles International Airport. In 2005, Padilla was elected President of the League of California Cities. He advocated on behalf of California cities in the State Capitol and fought to protect their budgets and advance their legislative priorities. In 2006, Padilla was elected to the California State Senate. He was reelected in 2010. Over the course of eight years, Padilla established a diverse and groundbreaking legislative record. To address the growing rates of obesity and diabetes, Padilla authored the law that made California the first state in the nation to require chain restaurants to post calorie information directly on menus and menu boards. "Menu labeling" was later included in the Affordable Care Act and is now national policy. Padilla also authored California's first smoke free housing law and fought to increase enforcement and penalties for the illegal sale of tobacco to minors. He also established a sustainable funding source for pediatric trauma care throughout the state. When he learned that thousands of cell phones were being smuggled into state prisons and used to direct criminal gang activity in our communities, Padilla led efforts to stop it. He wrote the law that criminalized the transfer, sale, or possession of illicit cell phones in prison. He also authored the law that prohibits violent felons from possessing, buying, or transferring body armor such as bulletproof vests. There are approximately 1.5 million English Learners in California public schools. One in four k-12 students and about forty percent of all kindergarten students are English Learners. Sadly, only about eleven percent of English Learners achieve English proficiency and earn reclassification each year. Padilla authored a series of legislative measures to identify and implement best practices in English Learner curriculum and instruction statewide. He also advocated for funding reform and accountability for schools and school districts with high concentrations of English Learner students. Through research and legislative hearings, Padilla exposed a bottleneck in the college transfer process. He wrote the law that streamlined the transfer process and created a clear and consistent pathway for community college students working to transfer to the California State University system. Padilla also authored the law that requires California's elite university athletic programs to provide alternative scholarships to student-athletes who lose their athletic scholarships due to injury. With the potential to create 20,000 jobs, Padilla authored key legislation to facilitate the construction of a new convention center and carbon-neutral sports stadium in downtown Los Angeles. With the goal of modernizing and better managing freight and passenger rail between San Diego, Los Angeles, and San Luis Obispo, he wrote the law to establish a joint powers authority to better govern the nation's second busiest rail corridor. As an engineer, Padilla is committed to the promise of science and advanced technology. 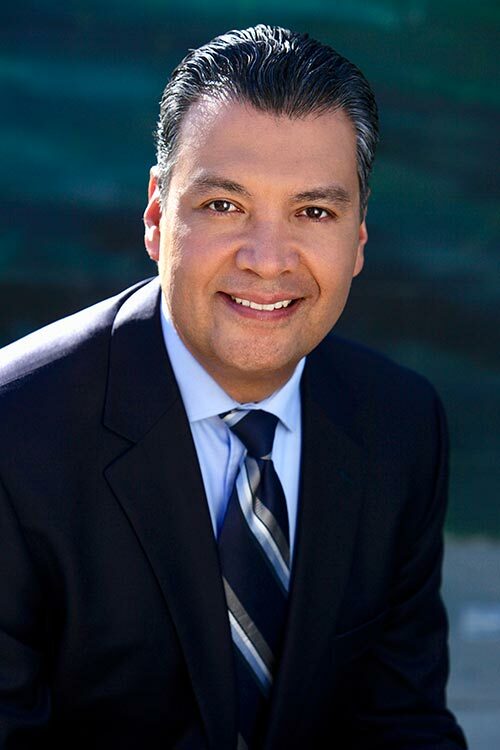 To address concerns about the misuse of genetic information, Padilla authored the California Genetic Information Non-discrimination Act. To reduce the number of injuries and fatalities on our roads, he authored the law requiring safety and performance standards for autonomous ("driverless") vehicles. And, working with seismologists at CalTech, U.C. Berkeley, and the U.S. Geological Survey, Padilla authored a bill requiring the state to create a statewide Earthquake Early Warning System. Padilla previously served as President of the National Association of Latino Elected and Appointed Officials (NALEO), a non-partisan organization made up of more than 6,000 federal, state, and local officials dedicated to all aspects of civic engagement. Padilla lives with his wife Angela and their three sons in the San Fernando Valley.